The latest version of Chromium, the open source browser at the heart of Google Chrome, features built-in voice command capabilities. And as Engadget points out, Chromium features often turn into Chrome features, and it seems inevitable that this will do the same. 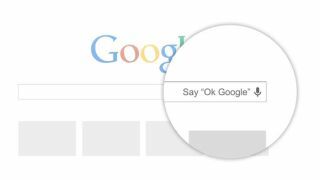 Voice commands are already available in Chrome via an extension, still in beta, that adds "OK, Google" capabilities to the popular Google browser. Uttering that phrase allows users to initiate a Google search using only voice commands, but as a beta extension its reach is still limited on desktops. OK, Google, where are my keys? In its current form in Chromium, Google voice search features an option for the browser to stop listening after five minutes. Of course, you can turn it off entirely, and another option lets you decide whether to allow voice commands while in incognito mode. Turn it off and your queries for "Miley Cyrus VMAs" will hopefully never be recorded. Then again, you'll be missing the convenience of hands-free searches. Features that pop up in Chromium can take a while to migrate over to the full Chrome browser, so don't hold your breath for built-in Chrome voice commands. We'll certainly be keeping an eye out, though. Er, make that ear out. Will we ever get sick of things with "Chrome" in the name? Check out TechRadar's Chromecast review for more!